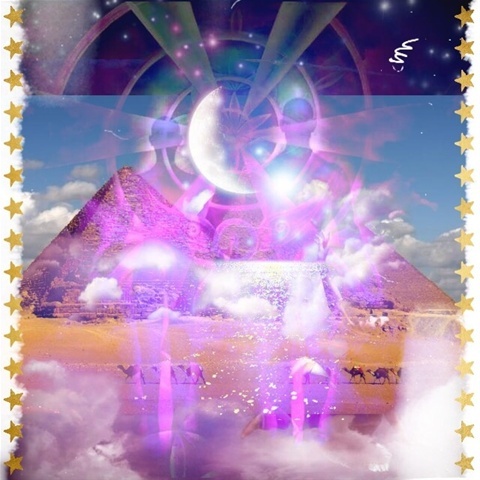 We come through now in this hour of your time to offer you some higher perspective on the recent cosmic energetics that have been most pertinently affecting the group that is known as the First wave illumined twin flame Ascension Pioneers. Within the vast number of lifetimes you have lived,many of you have held positions of high and holy Council upon many starships and outer planetary systems. Many of you have also held positions of great power at the time of Atlantis and Lemuria. It was at this time of Lemuria whereby the twin flame Magdalene and Yeshua divine union template was programmed energetically into the earths higher dimensional grid, designed to activate at a specific timeline convergence. However at the time of Lemuria the earth experienced an invasion by lower dimensional forces who were granted free will buy our creator self, and they used their powers malevolently. At this time, this group of lower dimensional entities, activated an interference and a distortion in this higher divine union template which served to cause what could be termed a great glitch in the flow of balanced energy between the masculine and feminine energies upon the earthly plane. the reason why the lower dimensional entities did this was because they could. They exercised their free will which then saw the birthing in many ways the imbalance of the masculine and feminine energies that have been the predominnant experiences upon the Earthly plane. However as earth has been aligning with her full ascension trajectory and is rapidly moving through one Ascension Portal after another, and what with the extremely potent anchoring of the Ascension frequencies at the time of the harmonic convergence in 1987, the earth herself has now moved out of quarantine and is now fully in alignment with the highest protection from the Galactical Council of light. Now at this auspicious time, the distortion and interference that impeded the divine union template has been completely cleared by the highest Angelics, and this is been played out and embodied primarily by illumined twin flames. At the time of Lemuria the template that was set into the earth grid, had encoded within it, all of the energetic aspects required for the successful ascension of mother Gaia through the activation and actualisation of the wholly divine union template. Beloveds it was decreed by the great Council that the time of summer solstice and up to the blood moon in 2015 would see the full realisation of this source decreed template that was intended so very long ago. The dark energies and entities have been successfully removed from the earths atmosphere, which has enabled the diamond codes to infuse the higher third dimensional field. We assure you, you have the guidance and love and unconditional support of all your ancestors allies Soul guides and planatary star family. The requisite energetics for succesful Twin flame unions have been deeply embedded at this time of NOW into the third dimensional consciousness. Beloveds these unions are occurring because it has always been the will of God that they occur. This is beyond all of your limited minds understanding. Trust in the synchronicites that constantly occur in your reality, every showing you, and affirming to you that you are perfectly aligned with the manifestation of your heart desires. Trust the songs that have a meaning and an emotional resonance for you and your twin flame connection. Only you can answer if the one who stands before you now is the true beloved of your soul, the one whom you co-created with God herself who would wear the perfect face to literally magnetise your soul back home. no one can tell you this, for only you know, and when it is real for you it is as obvious as the very nose on your face. We encourage you now to silence the mind and allow your higher heart knowing to fill your consciousness with the highest visions of timelines where you and your beloved are dancing enraptured in love ecstasy. Such exciting times beloveds, we know many of you have been waiting a long time now and that is exactly how it was supposed to be this time of being all one with your God self has served you very very well and now we see you are ready to step into the gentle yet all consuming fire of twin flame recognition and reunion. As these times are increasing in intensity for many twin flames, we highly suggest seeking the counsel guidance friendship and support from other illumined twin flames. beloveds this is too much to handle on your own and it is imperative that you reach out for as much help and support during these times of profound earth changes and the actualisation of these God decreed divine unions…..
During these times we all need each other, especially twin flames, as only true twin flames have a genuine understanding of the extremely highly multi dimensional consciousness that this type of union induces.